With the world growing with their ultra busy lives, we all need a unique companion. Pets as always are the backbone of such kind of camaraderie. Most pets offer us comfort with their beauty, loyalty, and protection, maturity at an early age, care and affection. With our stressful lives moving day and night, they act as the source to relieve the stress instantly. Pets make us feel lighter, confident and indeed relaxed. The protective and loyal comfort of cats and dogs feel just right for many of us. Cats and dogs can be separated in terms of the intelligence they encompass. While dogs are more committed towards their task and the orders been given to them by their masters, cats have the urge to hunt for their source of entertainment. They seem to prefer isolation. Both varieties have the ability to hear and observe anything mysterious from a distance. Dogs have more impressive hearing power, cats lead in terms of vision. In terms of the following order given to them, each has a diverse sense of absorbing it. Dogs love to be trained. They have a set of signals defined in order to understand the clues given by its master. 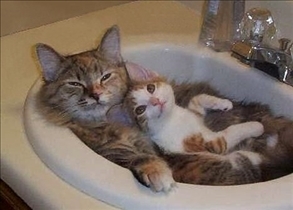 If you talk in terms of cats, they are far more relaxed and avoid commands given in the same way dogs are responsive to. Cats can be trained to respond to commands but there is completely different strategy involved which most people are not familiar with. 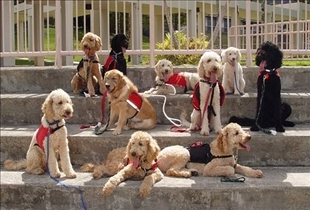 Dogs top in terms of ease of training. Cats are self disciplined so they actually do not require much of the usual training to behave in a self restrained manner. If you are away from your home for too long, the initiative of creating a fuss would usually be perpetrated by a dog. They are more prone to the boredom as compare with cats. They lose their interest at a certain point of time wherein they begin exhibiting destruction behavior in order to get their master's attention whereas cats are relaxed and more involved in their own lives. In simple words, cats are mature from day one but a dog's maturity comes with age. A dog forces you to keep track of each and everything he does just like you would do for a baby. Cats aren't perceived as dependent on their masters. That said, cats absolutely need their masters for love and affection as well as for play but aren't as outwardly demanding as their dog counterparts. The more time you invest with your cat the more rewarding the relationship will be. In a nutshell, what can be said about these two beautiful souls is that they differ in their own aspects but have the ability to keep their masters content. While dogs are more hierarchal by nature, cats tend to understand their role in a human/cat relationship early on. Dogs have the ability to understand their master's commands well while cats are far selective in following commands and in understanding the rewards involved in doing so. Protection is served best by the dogs as opposed to cats. Cats are traditionally rodent hunters, whereas dogs can defend their masters against larger menaces. The decision to be made upon who is the award winning deserving candidate as a pet is entirely a choice to be made with an open mind and the kind of requirements the owner has in mind. aaawwww... i just love cats. They are soo cute. i just simply love them. I have 5 different cats and a just never get bored of them. They do so much crazy stuff. Its fun to be with them. That was very entertaining and informative, thank you for doing this. You should get into more detail about what the differences are between cats and dogs.